J.J. Keller is a Wisconsin company about 40 miles from where I live and they sponsor Dallas Seavy. Needless to say, they are ecstatic about his 2012 Iditarod win. 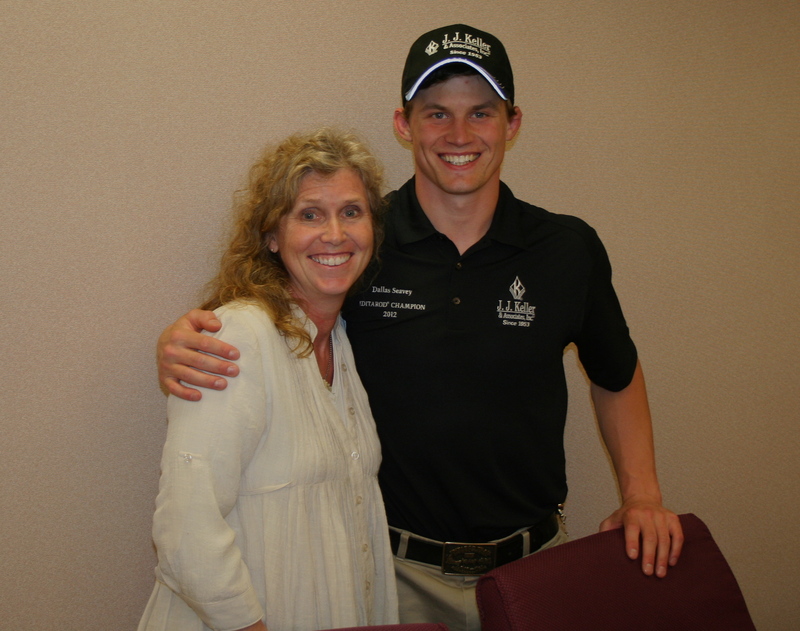 The fact that he is the youngest person to ever win the Iditarod is a bonus. To celebrate his win, they brought him to their corporate headquarters in Neenah, Wisconsin in May and invited the public to listen to his story. It was pointed out to us (us being the audience of about 200) at the beginning how much Dallas loves to talk. Yes, he does. But I could have listened to him all night. 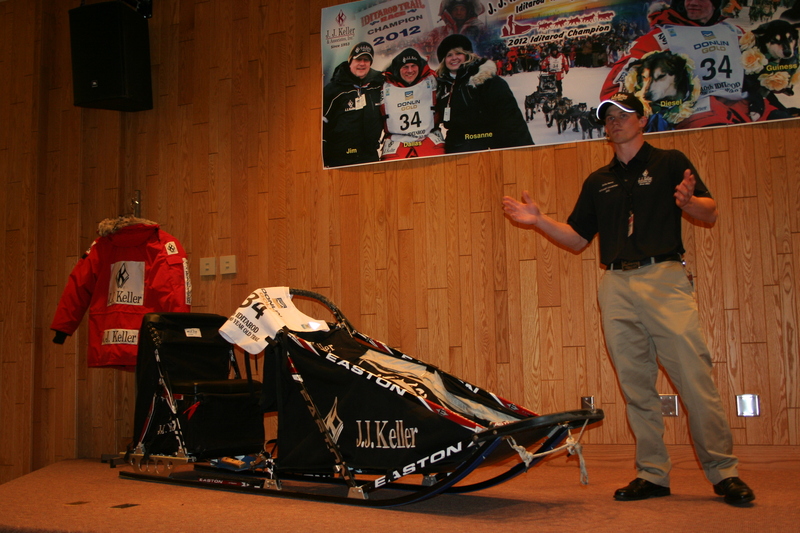 He shared a little about his life and a lot about mushing, sleds, and dogs. He had some profound thoughts about competition and his strategy for a winning team. He answered questions from the audience honestly and in great detail. Dallas has a quick wit and sense of humor to keep us all engaged. Afterward he autographed items and talked to each person like he or she was a missing friend. It was a thoroughly enjoyable evening. My friend, Mo, said this evening wasn’t on her Bucket List, but she’s going to add it and check it off. We left J.J. Keller as Dallas Seavy fans. Congratulations Dallas – see you in Nome in 2013!